The Union Minister of State for Home, Kiren Rijiju had a narrow escape on Wednesday when the helicopter he was travelling had to force land somewhere between Bhalukpong and Tippi in West Kameng district of Arunachal Pradesh. The helicopter that was flying the Union Minister had to force land because of bad weather. Kiren Rijiju himself twitted a couple of hours back about the incident. However, the district administration was quick to react and reached the spot near the nag Mandir bridge of the area along Bhalukpong -Tippi road. In the tweet posted in his official Twitter handle, Rijiju also expressed his gratitude to ‘old friends and well wishers’ of Bhalukpong –Tippi area for urgently providing vehicle and other support. 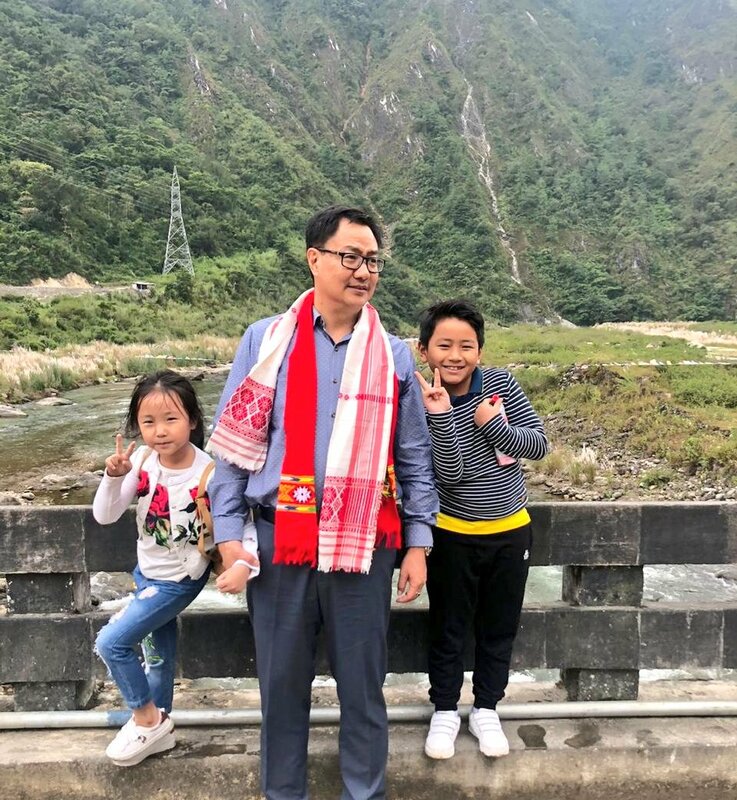 Rijiju, along with his family was on his way to the West kameng district to attend a local festival. This is not the first occasion that a helicopter carrying Kiren Rijiju had to force land due to bad weather. On earlier two occasion, last year and in 2016, the helicopters that was flying the Union Minister of State for Home had to force land because of inclement weather. An Mi-17 helicopter of the Indian Air Force, carrying Rijiju had to make an emergency landing on a small field of the Polytechnic College in Itanagar on July 4 last year due to inclement weather. Earlier on April 23 in 2016, Rijiju had a narrow escape when the helicopter in which he was flying from Arunachal Pradesh had to force land in Tawang due to bad weather.